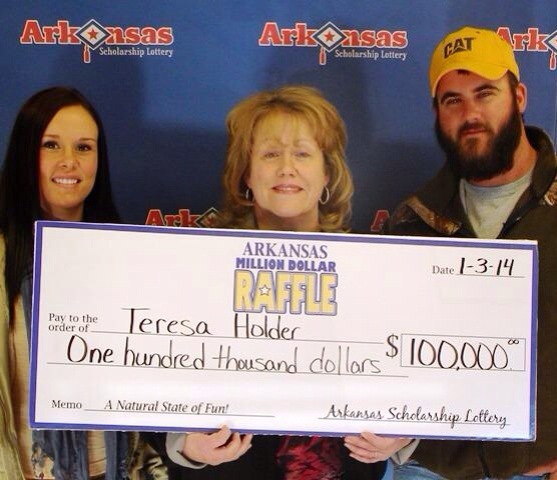 Teresa Holder is the winner of $100,000 according to the Arkansas Scholarship Lottery. 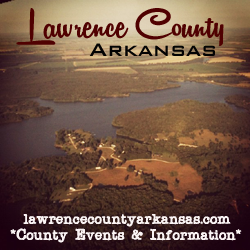 Holder was the first to step forward and claim her prize in the Arkansas Million Dollar Raffle. The winning ticket was purchased in Pocahontas at Price Chopper, Holder along with her son and daughter in law claimed her winnings today at the Jonesboro office. Holder reportedly plans a vacation with family and saving the remainder of her winnings.